ASZOL A is a nonionic asphalt emulsion for mixing use, which has an outstanding ability to mix with cement. 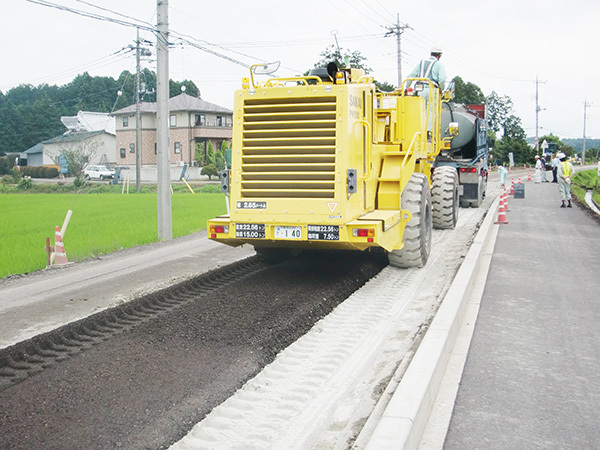 It conforms to Japan Industrial Standards JIS K 2208 and the Pavement Design and Construction Guidelines MN-1. It is used in the “STABI-CEMENT RC Construction Method” cement and asphalt emulsion stabilization construction method (on-site base course recycling construction method). Has an outstanding ability to mix with cement, and is appropriate for cement and asphalt emulsion stabilization treatment. Since it has an excellent mechanical stability, it will be suitable for on-site continuous mixing using stabilizers. 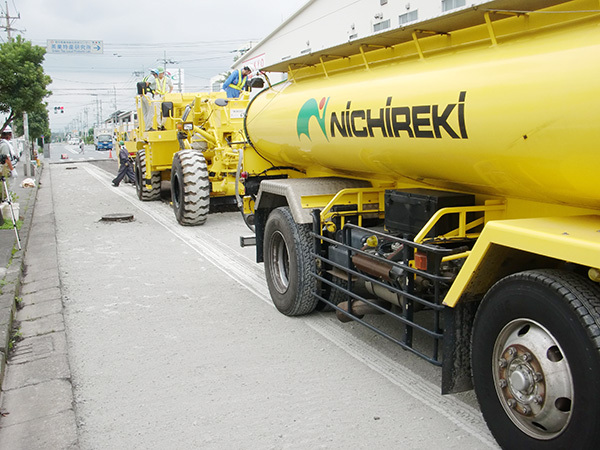 Mixture that jointly use ASZOL A and cement will have both the flexibility of asphalt and the rigidity of cement, so that they will form solid base courses that have excellent watertightness. The constructed base courses will have outstanding freezing and melting stability, durability, and resistance to contraction.